PokeHeroes's 1st Creative Writing Contest! It's SilverLugia456 here with an great post announcement for a contest that PokeHeroes is hosting. Each day in Emera Town whether its the professor in his lab or Leah down by the beach there is a story that could be told. Some crazy adventure that we haven't see before or a memory that wants to be shared. So we would like to have the members of the PokeHeroes Community come up with their own stories for the adventures that they could see the residents of Emera Town having. It could be comedic, adventurous, action-packed, maybe even a big tragedy or disaster. Some residents may have just had one of those days. - You may submit only 1 story. - Keep the stories appropriate for all ages, don't go excessive with blood, guts, gore, language, ect. If you do then your story won't be read or considered in the contest. - Make sure to stick with the theme of using one of the characters from Emera Town as your main character. You may create your own supporting characters but the story revolves around the Emera Town residents. - Stories must be original and created from scratch by the member, don't copyright something else offsite or from another member. - Send your story to Me (SilverLugia456) through a PM message. There will be top three prizes for the stories entered. There will also be a consolation prize of 500 event points for everyone who participates in the contest. The stories will be read and reviewed by us the staff and the finalist will be chosen. - How do I submit my story to you? - What if we are a few words over the word limited from the Requirements? A. We do allow submissions that may be a few words over but if you have a story that is 530 words + then try to trim it down more. Word counts of 501-510 is fine. - What if my story doesn't fit in one PM when I send it to you? You story should be able to find in one PM when you send it but if by some chance it doesn't then let me know in the first pm that the story continues to a second one and then send it. - Could I have my story focus around more than one resident of Emera Town? Any other questions you can message me about it or post it in this topic. First off I would like to thank everyone who participated in this first writing contest. We had a lot of stories to go over and read. I apologize about how long it took to pick the winners. Every resident of Emera town has their own story; however, not every story is as simple as the last. The story I’m about to tell you is a legend passed from generation to generation. Many years ago, there was a young couple paving their way, eager to explore the world as it came. Years passed since they had started their journey, and the two of them had yearned to settle down, and begin a family of their own. And thus they travelled, rediscovering species they once saw as children, finding welcoming scenery and some familiar faces. There was no vacancy, and so they spent most of their money purchasing materials and the land on which their house would one day stand. Weeks passed, and by their own hands, it was finished. It wasn’t much, but it was theirs. It was warm. It was home. They helped many travelling trainers and pokemon despite their own conditions, and their home soon became a place where both people and wild pokemon felt comfortable. However, tragedy struck when an unknown illness befell the younger. Without a clue of what to do, they passed away one night. Grief stricken, the eldest of the two began to lose the happiness that had once made their life full. And so, with a broken heart, they too passed. A week had passed as the other residents of Emera took care of the couple’s house, and set up flowers and pictures of them in memory of those who gave with all their heart, even when they had nothing. Unbeknownst to the townspeople around them, despite the tragedy that befell the couple, a miracle had occured. From their memorials placed in their house, two pokemon emerged, an Umbreon, and an Espeon. The two soon became very close, and fell in love. Both they, and their home, was reborn in the very love that brought them to this town in the first place. It soon became one of the only places where pokemon would lay their eggs. Such a rare thing, you know, falling in love all over again. They say that’s what brought them together again, their everlasting love for one another. Ah, but like I said, it’s just a legend. Hunching my tired back, I walked carefully toward my beautiful wife, tenderly hugging her from behind. As I leaned in for a kiss, a soft warmth filled my stomach and a smile found its way to my lips. As if my hands were blankets, I slowly surrounded her frail body with my once powerful figure, protecting her from all harms. She giggled and lifted her head towards mine, lips forward, where they had met mine. As if I was back in my twenty’s, I eagerly kissed her, closed my eyes and enjoyed the moment. « Eww, do you have to do this now? » a sudden high pitch voice erupted from behind us. Opening my right eye, I turned my head towards my side, noticing a young boy no more than 10 years old hiding his face behind his tight fingers. His messy jet black hair swayed as he moved his fingers, peeking through the hole he had formed. Grinning, I took my wife’s hips and brought her closer in a passionate kiss. Shrieking, the boy hid back beneath his fingers attempting to block the view. Letting out a loud sucking noise, to make the boy uncomfortable, I let my spouse go. Thrilled, she walked back behind the counter, where she sent a kiss with her hand while her face glowed with happiness. « Now, what can I do for you? » she rested her hand on the palm of her hands, watching the restless boy slowly unraveling his fingers. Realizing we were no longer kissing, his face light up with delight. « I would like… » He starts to ask when she cut him off, some of her glossy silver hair coming across her face that she expertly putted back into her messy bun. « Oh, there you are. My husband had something to talk to you about. » Her eyes shined with glee, enjoying the look of annoyance on the youngster’s face. Winking at him, I made a gesture for him to follow me, and head outside. I still believe to this day his face to be the most heartbreaking thing to see. At first, his eyes shot up in incomprehension and then disbelief that his perfect ditto, that had taken him forever to find, could be lost. Building up some tears, he kept them at bay and his lips curled back into his mouth. Finally, after a few minutes spent crying, acceptance finally found its way to his heart. Babbling some excuses, he walked away to some other adventure. Heading back inside, my heart heavy, I gave a good night kiss to my wife, and headed straight to bed. However, what happened next would only be revealed years later. Making sure I was sleeping, my dearest sneaked out to the roof with only Murkrow’s for company. Howling to the moon, she transformed back, reveling a Majestic. Pink. Perfect. Ditto. A violent storm was raging across Emera Beach once more. Giant waves crashed upon the shore over and over, abandoning shells and pearls, taking sand and rocks. Today, though, today was different. Aside from the usual watery treasure, something else was forced from the deep dwellings of the sea up to the surface and onto the land. Exhausted from battling the forces of nature, nothing moved aside from the push-and-pull of the sea, until that also calmed down as the storm moved further and further away. After taking the time to catch her breath and get her bearings, the creature stirred and, what first appeared to be human, turned out to be a mermaid, blue twitching tail moving in sync with the arms forcing the human torso up from the sandy ground. Confused, the mermaid looked around, wiping some long blue hair out of her face, so it would no longer obstruct the view of the beach. 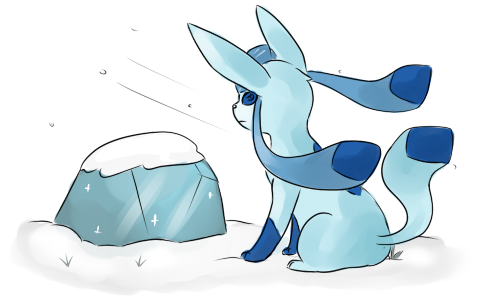 With the dying of the storm, other creatures emerged, humans and pokémon alike, curiously but cautiously gaining on the stranded creature, intrigued by this new appearance. A sudden screech ripped through the air, forcing eyes closed from the shock. Paws and hands started moving to cover ears, trying to block out the piercing sound filling the air. The youngest pokémon sought refuge with the same of its kind, hoping for some reprieve. Wide open panicked eyes tried to take in the new environment, only recognising the odd end here and there that can be found spread all around the world. As the panic reached its boiling point, the mermaid started unleashing the noise, trying and failing to scramble closer to the sea, before realising that her strength was sapped completely by the storm. As a last ditch effort, she put up her arms, trying to protect herself to the best of her abilities. Giving the crouching creature a fearful look, nothing indicating any danger caught her attention. The small smile that was thrown her way also helped ease the tension, but the thought of being away from her parents, in unknown territory, stopped her from relaxing in earnest. When I became a waiter at Los Seashellos, I didn't expect to meet so many different kinds of people. Besides the residents of Emera Town, there are tourists and wandering Pokemon trainers from all over, even from the other side of the world. But the most unusual one is the mermaid at the beach. I had never seen a mermaid until Leah showed up. They usually don't live here. I remember when I first stumbled upon her. The sun was shining after a terrible storm, and I stood on the Los Seashellos deck that stretched over the sea. The building was on rock on the far side of the beach so it had enough stability to be up against the ocean. Some of my co-workers were cleaning up the storm debris, but I had a different job. I looked over the edge of the deck to see a crate of Pink Cold Angel where the waves had carried it, stuck between the deck pole and some rocks. Someone had accidently dropped it while bringing in a shipment, and everyone else who tried to get it failed. At least the waves had calmed. I laid face down near the edge of the deck, conscious of how my clothes would be rumpled when the restaurant opened. I put my hands out towards the crate, but my fingertips only brushed it. I cautiously moved further over the edge and leaned out to try to grab the crate. I was distracted by a gasp, and I looked where the sound came from under the deck. I saw a woman in a pink top, and she was tangled up in the seaweed that liked to grow near the rock. She thrashed when she realized I had seen her. "Don't worry, miss. I'll help you," I said to calm her. I stood up on the deck. My co-workers had noticed. "What's that?" "Someone got trapped in the seaweed." I thought a moment. "Don't tell the manager about this." I took a Pokeball out of my shirt pocket underneath my vest. The manager didn't want us trying to pick Pokemon fights with our customers so we were not allowed to bring Pokemon to work. But I kept this one with me all the time, just in case. I let the Pokemon out, my rainbow Vivillion. "Help the person who is trapped underneath the deck." My Vivillion disappeared underneath, and after a few minutes of noisily nibbling through the exposed seaweed, he returned to me. The woman came out from underneath the deck, and then something surprising happened. The woman flipped on her back to look at us and splashed a large fish tail in the waves while turning. I could only stare dumbfounded. "Hi. Hi. Thanks. The storm pushed me underneath there, and I couldn't get out. I'm hungry so I'm going to try to find food. Some nice, juicy fish. I'm Leah, by the way," the mermaid said. I recovered from my surprise. "Happy to have helped you, miss." She disappeared beneath the waves. To this day, she still visits me near the deck. “Attention Emera Residents!” the flyer in her hand read as she stapled it onto the tree off route 53. “Berry master Lorelei needs your help in creating a magnificent haunted garden for Halloween! She needs volunteers for the following…” she slammed the last staple in and headed back into town. She had just finished posting flyers all around town in hopes to get as many volunteers as possible. In a few short weeks she had to have the garden ready for residents to enjoy. A week later she was shocked to see just how many volunteers showed up to help! People signed up all sorts of spooky looking and Emera native pokemon. Lorelei knew this would be the best haunted garden in the whole region. She began laying out the plan for everyone involved. “What is all of this?” Rowan asked a young trainer as he walked by the garden, now surrounded by a hoard of Trevenant. “It's a surprise for Lorelei's Halloween celebration sir!” quipped the boy. It was Halloween Eve and the garden was buzzing with trainers and pokemon rushing to finish preparations. “I think tomorrow around 8pm she'll unveil it to everyone!” called the boy as he hurried back into the garden. “Ooh I can't wait!” Rowan exclaimed before he completely disappeared. It was Halloween night, just after dark, and Lorelei was taking one last look at all of their hard work. She thought it looked spectacular! The Trevanent were surrounding the garden perimeter, giving it a dark, creepy vibe. Berry plants were lining the edges of the garden, and hiding behind them were Disguised Executors and Zombeagles, waiting to scare unsuspecting visitors. In the center of the garden the cauldron, borrowed from Greg, was brewing with a mystical potion. Which Vulpix encircled the pot while the Magic Nine tales stood guard just behind them. The Pumples and Gorgiest were huddled in small groups around the ground, looking like fresh pumpkins and jock o'lanturns. The Valenfloom floated above the scene, offering subtle lighting and throwing the garden props’ shadows around. A swarm of bat pokemon swooped through the air, screeching and diving at people. Noibats hung from Trevanent branches while Noiverns were posted around the area like gargoyles. Disguised Eggsecutes lined a walkway, leading people through the attraction. Sugar shocks were standing by, ready to hand out candy to the visitors, if they didn't eat it all that is! As the Trevanent moved aside and people started flooding in, she could hear the oohs and aahs amongst the jumbled chatter. “This is wonderful Lorelei!” Rowan exclaimed as he came through the gate. She was brimming from ear to ear! Looking around she saw Rowan was right! Everyone seemed so excited and they were enjoying themselves. “We may have to make this an annual event! Great job!” Rowan said as he gave her a hug and walked away to join in on the fun. Everyone who has submitted a story for the contest will be getting the consolation prize as well. Since this is our first site-wide writing contest we haven't implemented a way to read all stories entered in the contest. I have posted the winning stories above for everyone to see. It would be great to get feedback from the PokeHeroes community about the potential of future site-wide writing contests to help us improve them even more the next time we host one. Is Mewton M. Meowth the Third also a resident? The residents include the human characters, but Mewton M. Meowth could be considered as a side character in the story. I'm with poptart88, a short list of the residents would be nice, so we don't accidentely take a non-resident for our short story. A list of residents would be nice, as all I can think of is the Daycare Man, Rowan, Bill (maybe? ), Leah, the waiter in Los seashellos, and maybe the hiker and bug catcher in the higher to lower game and bug catching contest. May we please get a list of the human residents as to not mix up the story and use a non-resident for our stories as KiraNear mentioned. Thanks. What should we do for residents that don't have an actual name? Should we just give them one? Sure you can give them a name as long as you attach their title to them. So since you have the gem collector you can give him a name but make sure to say that he is the gem collector as well. @Everyone else - Sure I can add a list of the residents of Emera Town. The gem collector does actually tell us his name. "Hey dude! My name is Greg - but everyone just calls me "The Gem Collector"." That was fun . Not much of a writer, but I think I did a good job. 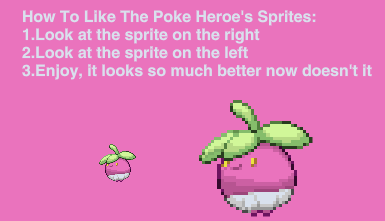 People often think the PH sprites are bland. Do they shade? Well, yes they do. You'll be surprised how much care is taken for these sprites. I'm looking forward to participating in this this! Thank you for the opportunity! The stories would need to be in English. Except, of course, things that are LITERALLY set in stone.